Well we are officially half way through the holiday season, and I don’t know about you, but I have already eaten my weight in ALL the sweets and treats. (Which is pretty weird for me since most of the time I tend to lean more towards the savory). Anyhow, I have come to realize I have a very serious seasonal sweet tooth. What can I say, Christmas time is my jam! Since I am not going to give up all the yumminess, I decided to make a dish that leans a little more towards the healthier side. 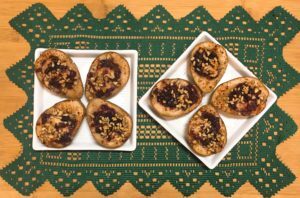 Roasted pears. 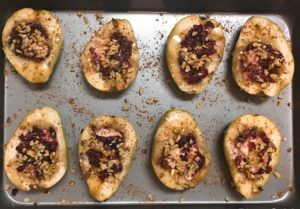 Cranberry goat cheese stuffed roasted pears to be exact. I also realize that I post ALOT of stuffed recipes. I don’t know where my obsession with stuffing things comes from; I just know it tastes real, REAL good. So without further ado here is the recipe. 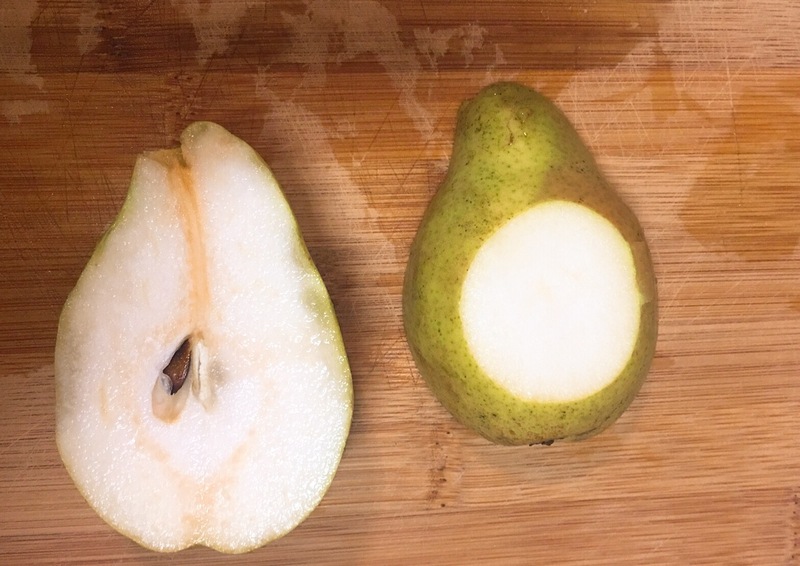 Halve your pears and slice a little teeny bit off the back, so they lay flat in the pan. 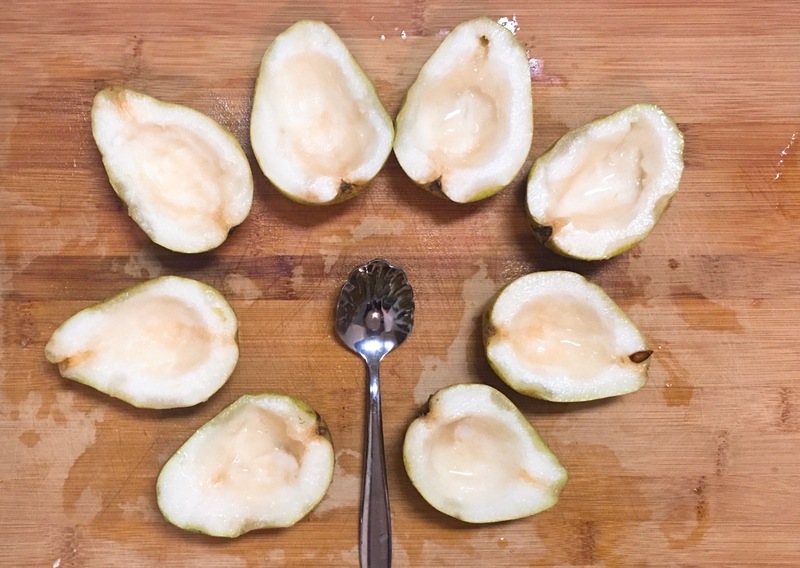 Once you have done that take a spoon, any kind will do, (I used a sugar spoon) and scoop out the core of the pear to make a nice little bowl for the cheese. 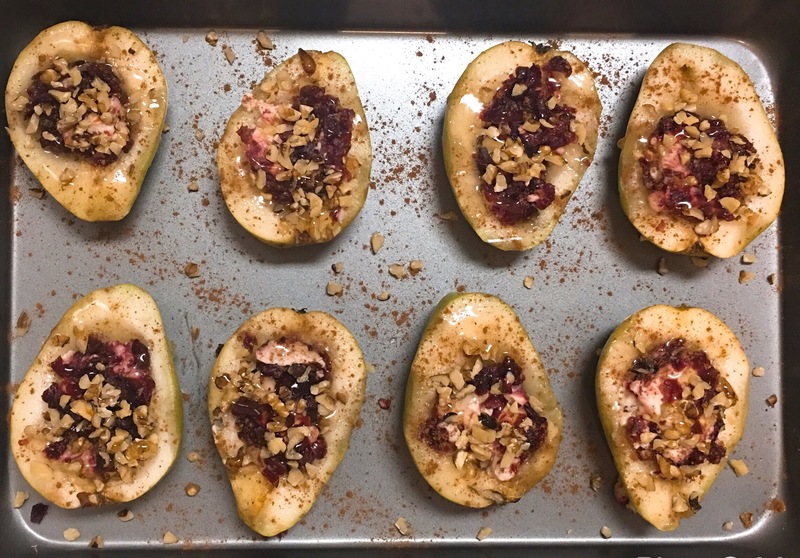 Sprinkle the pear with a generous amount of cinnamon. I wanted to also use some nutmeg, but I didn’t have any. Once you have that done, take that same spoon and pop a hefty amount of the cheese into the middle of your pears. 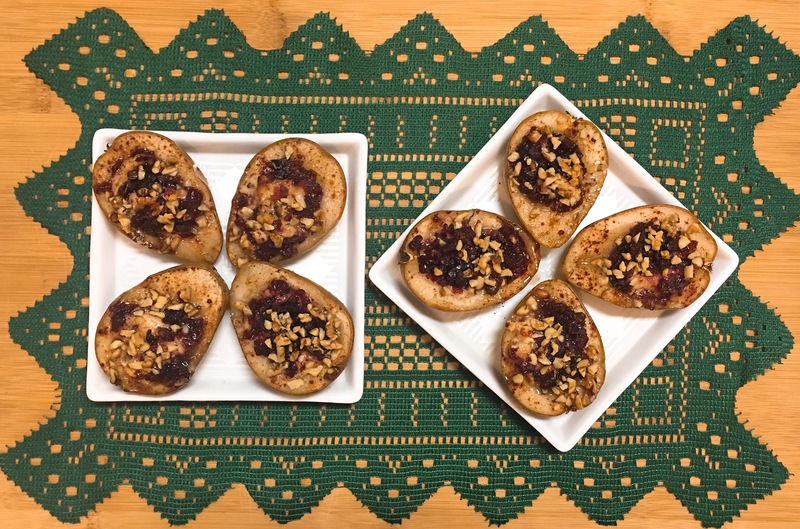 Sprinkle the chopped walnuts (pecans are also an excellent option) and drizzle the honey. 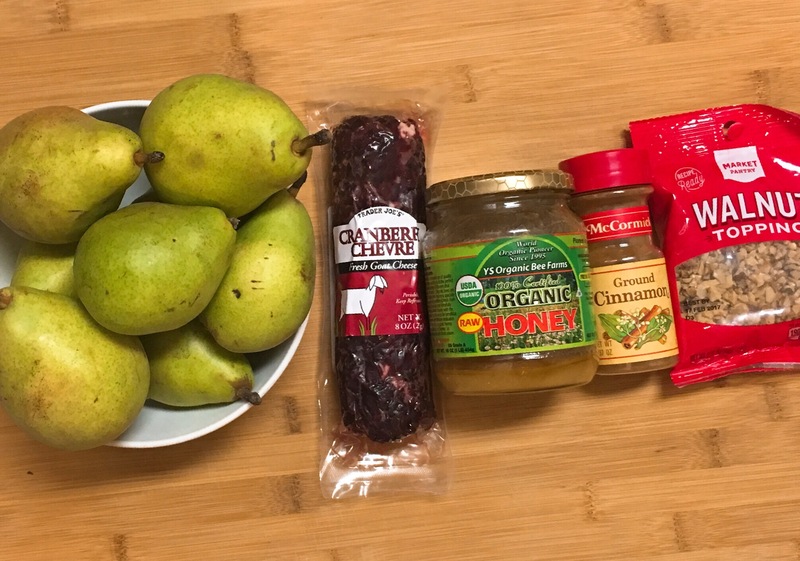 I probably put about a teaspoon of honey on each pear. 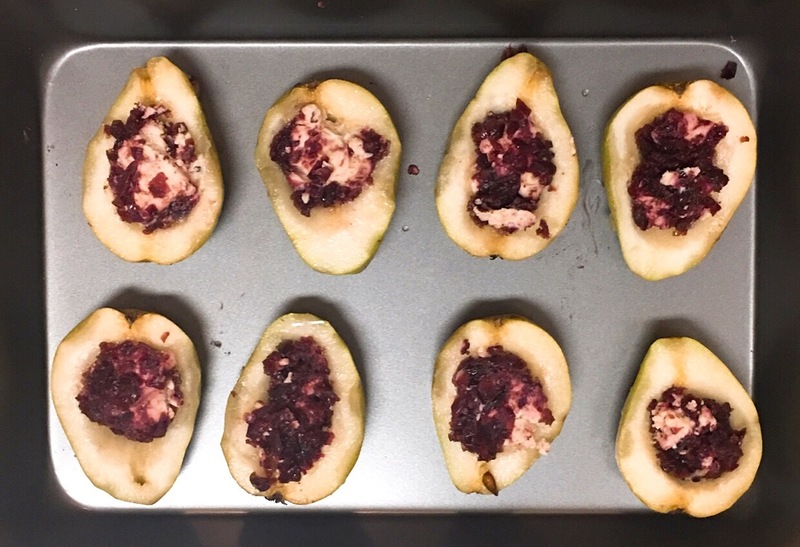 Pop those bad boys in the oven and cook for 25-30 minutes. 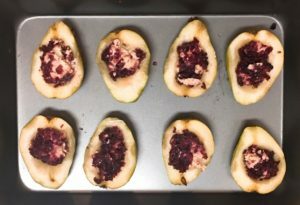 Once they are done, let them cool for a few minutes and serve. Looks yummy and LOVE the video! Wow Summer – this looks so good. I will try this next time I have friends/family over!